One of my summer projects is landscaping our backyard. We have a very small space and never really utilized it until now. I wanted to create a warm and tranquil space where I could sit and read and hear the running water. 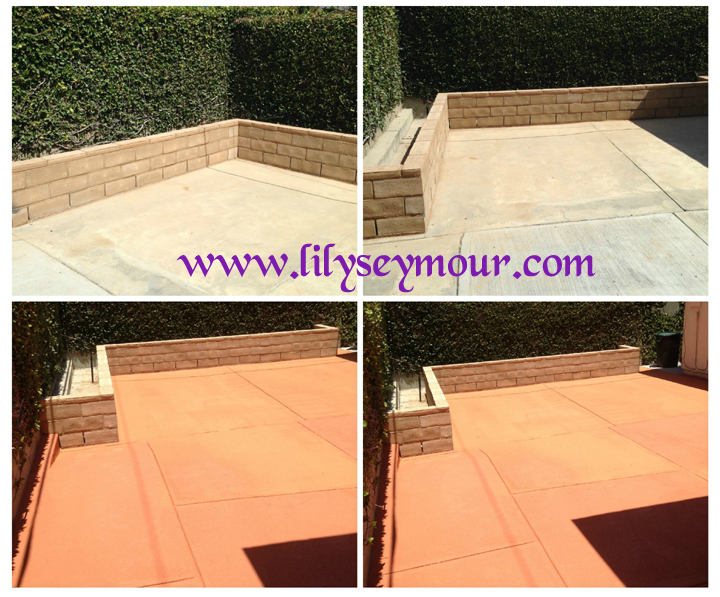 We started with an already cemented space. We hired a Mason to come in and build a planter 4 feet from the ground. Then we had our cement coated with a texturized cement paint. 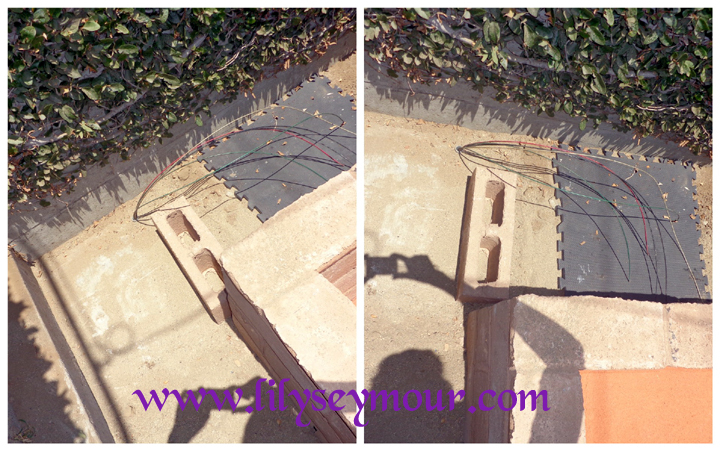 This was an inexpensive alternative to having brick work done. In the photo below, there are wires coming out of the ground, that's because about 15yrs ago we had a small Jacuzzi in that same corner. If we didn't already have this wiring done prior, the new wiring would have been ran through PVC piping and mounted on top of the cement and covered with dirt. We hired an Electrician to pull the old wires out which wasn't attached to anything and replace them with new wiring for the outdoor lighting and the water feature. He also installed a timer (the tall green thing) which the water feature plugs into and that plugs into the outlet. 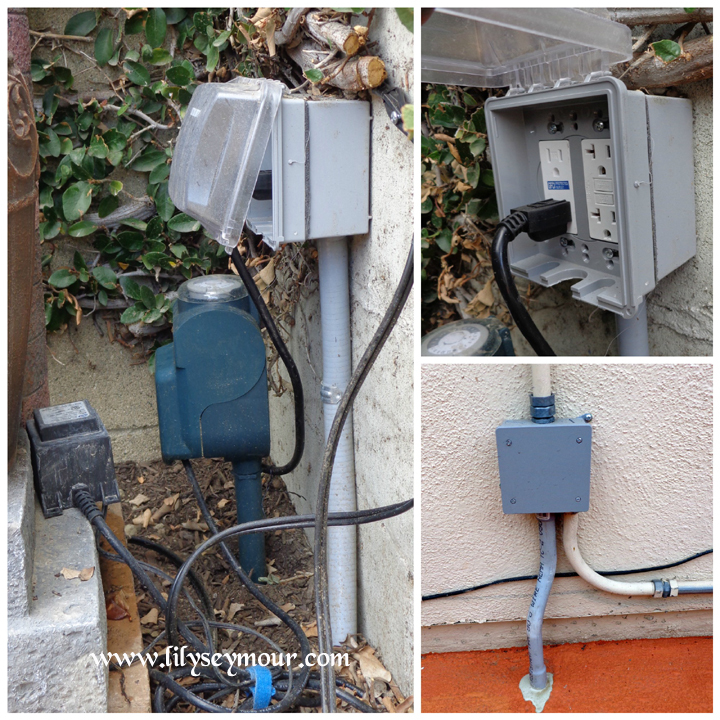 The bottom right photo is the electrical coming out of the ground and wired into an electrical box leading up to the electrical panel on the house. We had our Mason build a special platform for the water feature so it could sit comfortably. This water feature is very lovely, this fountain is called "Tuscany". I bought it online from Lamps Plus. It does come with a one year warranty. It was very easy to assemble and set up. I have it on a timer set to come on at noon and off at midnight. The only drawback to this is that I have to be sure it has water at all times. The back petal holds all the water and when filled completely, it will run three cycles on the timer. 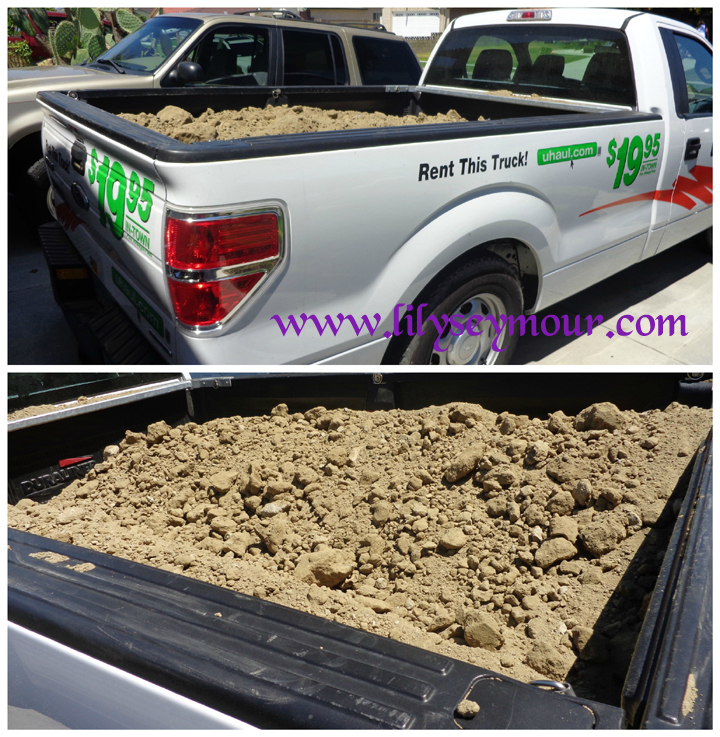 We rented a truck to haul our free dirt. I'm working quite hard filling up the planters with all the dirt! It actually took one full week before we were completely done. We filled one side at a time with the free dirt. We added one bag of top soil and a bag of mulch to top it off. In the video below you'll see the beginning from a blank slate. We have a pergola coming (which has already arrived) and that will be put up shortly as soon as my husband can find the time. My son will drive up to help him so between the two of them, they'll get it done. We set up a fire pit that we purchased from Target online, it took almost a month to arrive. We also ordered a Pergola from Lowes. It will not arrive until later this month. Once that's up, I will begin planting shrubs in the planter. We will also install lights inside the planter. You'll see the final results in another Blog post and video soon!